The results are often mixed - those without a hardened liver might find themselves taking a nap on the pavement with a kebab box for a pillow a little earlier than expected, while even certified party people will probably find themselves vomiting green and remembering very little the next day. If we’ve just adequately described you and your mate’s yearly endeavors, then why not make this one a little special with a trip to Budapest and an epic pub crawl on the big night itself. There are many reasons to come to Budapest - too many to go into here - but when it comes to the Budapest Pub Crawl, it’s a right of passage and we know how to do them right. We take pregaming so seriously here, that we give it a cool sounding name - Power Hour. What’s that exactly? Well, for one hour, you’ll get the chance to drink all the beer and wine you want - and we mean it when we say unlimited. The key here is pacing yourself. Only idiots fall before they’ve even left the first bar - especially on such an important night. We want to keep things rowdy throughout the night, and our fuel of choice for this is shots - which we’ll be handing out in generous quantities as we hop from bar to bar - and if you get a taste for them and want to try some more alongside your mandatory Guinness, then go ask the bar for some ‘palinka’. That’s the local moonshine that has a taste somewhere between drain cleaner and pure heaven. Budapest has ruin pubs, which happen to be just about the coolest bars in the world. They live in abandoned buildings in the city’s old Jewish Quarter and have been creatively repurposed with scrap furniture and the work of local artists. Busy and buzzing every night of the week, we’ll be taking you to a few of the most famous so you can soak up their electric atmosphere. 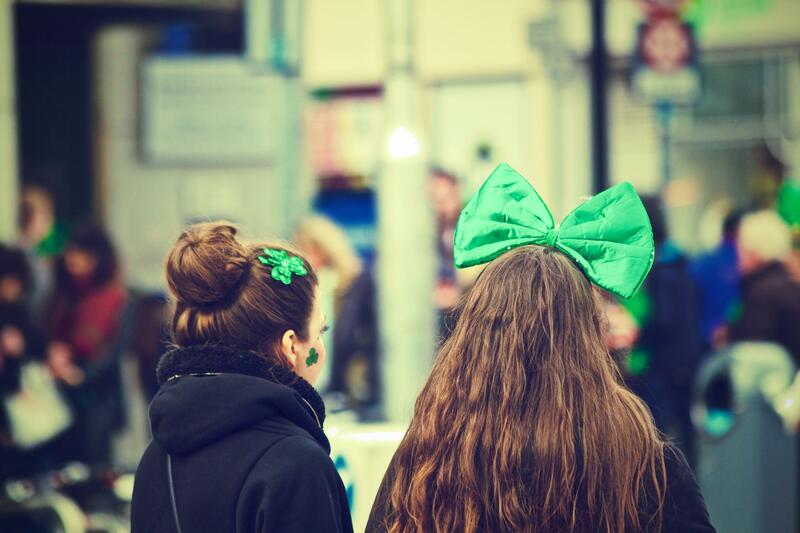 Expect to see a little more green in people’s outfits than normal and a pervasive Irish accent hanging in the air. We should definitely take this chance to give a shout out to our team of guides. All lively lads and ladies who’ve lived in Budapest long enough to know where’s hot and where is definitely not any night of the week. They’re here to keep spirits high, keep the pub crawl moving and, as far as possible, to make sure you don’t make a bloody idiot of yourself. True heroes! The nightlife in Budapest basically never ends and there are dozens of bars that literally never shut their doors, meaning it’s up to you to decide when to end the night. Your guide will need sleep at some point, but they’ll happily point you in the direction of said bars, or drop you off at a cool nightclub and usher you to the front of the queue.